The motto for every New England football fan out there these days. We stick together and stand up for our team no matter what. Wear this tee and block out all the haters out there. Let's go get that next ring! It’s New England vs. the world with this fun t-shirt. New England is, of course, winning. New England is packed with a rich history, diverse people, and beautiful landscapes. With so much to do and so much to see, it’s no wonder why it’s a choice place to visit and live in. The sports, food, geography, and lifestyle are just a few of the reasons people have so much pride in the region. Represent that pride by wearing this comfortable and breathable tee to express your passion. Enjoy the high-fives from fellow New Englanders on the street. Ourteesare made with high-quality materials to ensure a comfortable, breathable, and flattering fit. We use 100% cotton or a cotton-poly blend for all of our products. You can wear our shirts to the nextfootballgame, your family reunion, or even at work. 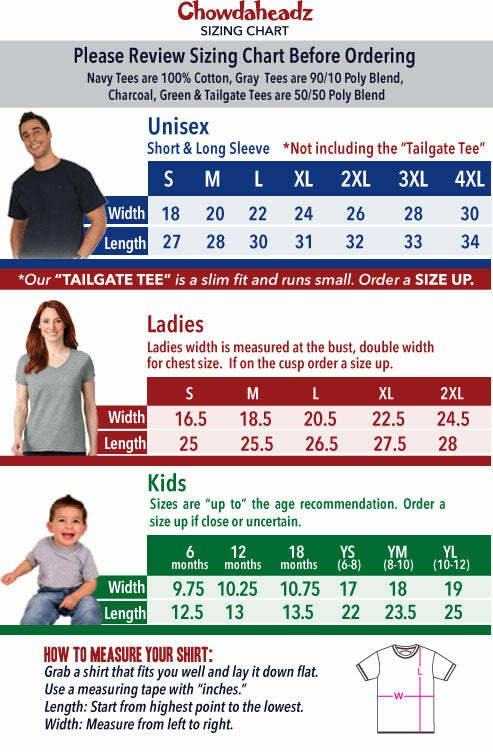 We also make ourathleticshirts in many sizes and they will fit as expected. Whether you enjoy living in Boston, exploring the coasts of Connecticut / Rhode Island, the mountains of New Hampshire, Vermont, Maine or representing a New England alma mater, you’re sure to stand out in a crowd or at a sporting event with this high-quality t-shirt that was decorated and printed in the USA. Chowdaheadz is a company that is owned and operated by passionate New England fans and residents. We have 15 years of experience bringing you top-notch,noveltywomen’s andmen’sNew England apparel. We love our region and strive to help others sport their pride as well. No matter where you are in the world, show everyone how much you love New England with your new Chowdaheadzapparel!